This time of year, I can’t help but think about romance... and the romantic fiction I’ve fallen in love with along the way. I have a passion for romantic stories set in the Victorian (1837 to 1901) American West. You might call me a nut, with my longstanding blog featuring various aspects of that historical setting—particularly when used as a backdrop for fiction. 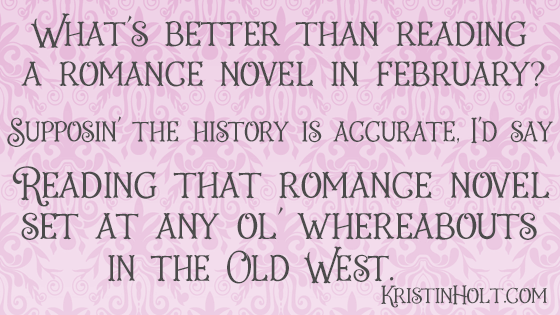 I love sharing those juicy tidbits with readers who share my passion for the American Old West. My last several titles included a “Dear Reader” with links to more info about the story. Read this “note” to readers of Unmistakably Yours, (with links to historical details) HERE. Unmistakably Yours (regular or large print) to one lucky commenter. Whether readers see it or not, they’ve become familiar with myriad nineteenth century foods, beverages, fashion trends, underclothing, tools, inventions, developments, challenges, real-life historical events, war, scrimmages, and a bit of the truth about mail-order brides. In a way we can say, we were there! We know things—important, real things—because we read. Reading American-set romances can be another chance to learn the best of American history... without the anxiety of exams. GIVEAWAY: I’d love to share SIX of these 2019 limited edition bookmarks with SIX different readers. Enter by commenting below! As an author of Sweet Romance set in the Victorian American West, and an amateur historian, I fall hard for a story whose author embraced history’s accuracies. I learn so much while reading for pleasure. Over the course of writing my first twenty titles I became aware of the need for even deeper research. I thrive on studying constantly to ensure each new story is as accurate as possible. I read a new-to-me-author’s full-length Christian American Historical novel, wherein the history and the setting fuse seamlessly. Recommendation: A Reluctant Melody by Sandra Ardoin. The flipside is a downer. Heads up: just because you read something in an American Historical novel doesn’t mean it’s true. Don’t forget to enter my two drawings. Scroll down and reply to enter. What have you learned about history from reading fiction set in that location? What other titles do you recommend—specifically authors who’ve done their research? Fun post, Kristin! 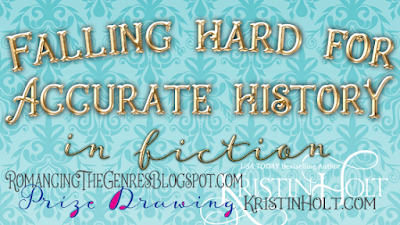 Much of what I know about history came from historical fiction. When we toured Italy, I told my husband how cathedrals were built, because of The Pillars of the Earth by Ken Follett. 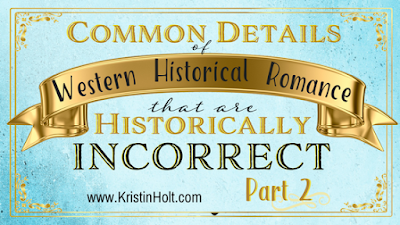 My favorite romances are historical, and I love researching for my own historical details for my YA books. So I understand your need for accuracy. I've learned some things about what people cooked and ate in those times. It seemed to be a lot biscuits to fill you up, pork they raised themselves, and simple garden vegetables they also raised and stored in a cellar or canned to preserve for the winter. Thank you so much, Lynn Lovegreen, for the perfect example! I imagine so much of that story came alive to you, again, at the pillar-explaining incident. I'm delighted we're like-minded, and you love poking around in history as much as I. Thanks for contributing to the conversation. Thank you for contributing to the conversation, and your awareness of the foods portrayed in fiction. I've been fascinated about this, too, and aware how those on any frontier were nearly self-sufficient. So many farmed as their primary means of support. Lots of real, plain food. Hi Kristin, Thank you for Guesting at RTG. Also thank you for doing the Giveaways! I love your attention to historical accuracy. The links to your blog and other resources in your post will come in handy for writers interested in this period. 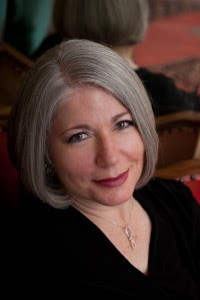 Paty Jager has written a large number of Western historical romances with reliable historical details. Some of Lynn Lovegreens books set in Alaska are also set in the Victorian time period. She is also a stickler for research. I've enjoyed reading your blog posts about your own research, and your novels well reflect your knowledge. Thanks for stopping by! 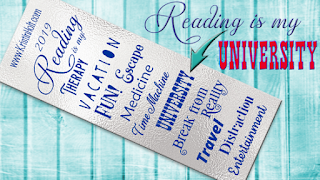 Thank you, so much, for the invitation to guest post. I genuinely love giving paperbacks to readers. Thanks for your kind words, and for recognizing Paty's and Lynn's contributions (aren't they talented?) to the subtle university history lectures that play in the background of our favorite entertainment. I am one of those readers who read for the historical facts and atmosphere in historically set novels. Most Americans were self-sufficient from the early days of our country right up to WWII. My mom was 92yr when she passed in December. I've been reading a journal she wrote. Born in 1926, she wrote that at 4 and 5 yrs old she participated in the care of their vegetable garden weeding, picking and canning. They didn't have a fridge or freezer. They had chickens for eggs and meat. the family shared a cow with their neighbor for milk. They cured some wild and butchered meat. They lived in town. I've read several of Paty Jager's western novels and I have learned several new historical facts in each one. I really enjoyed your blog post. Thank you so much for contributing to the conversation, and sharing your insights about self-sufficiency through the mid-twentieth century. Such a wise awareness! Isn't Paty amazing? I've enjoyed every Paty Jager title I've read. Thanks for stopping by, and for entering my drawings. I think I've learned so much from reading historical romance stories that I never learned in the history classes I've taken, and I think because of these wonderful informative historical romance stories that I've read have gotten me more interested in history and how life was in that time period! Some historical romance author's I've loved reading are Shanna Hatfield, Lisa Prysock, Melinda Curtis, Caroline Lee, Kristin Holt, Kristen Osbourne and there are more great author's out there with great historical stories! Kristin, So good to see you back here at Romancing The Genres. Love your post. This past year RTG hosted The Decades Project of African American Romance. I started reading some of Beverly Jenkin's books that portray our history from the African American perspective. 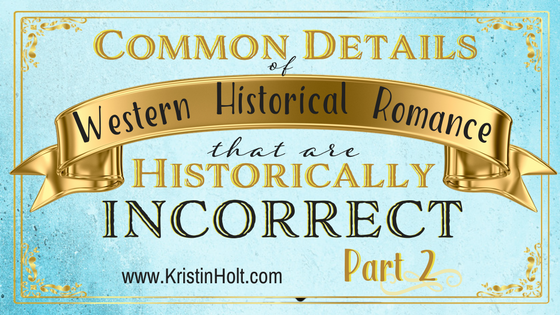 I totally agree that we can learn a lot about our history from reading well-researched romance novels. I've always loved history (even the high school text books) but also now realize that much of what I learned in high school and college was a mis-represented view of the US's past. I'd like to know why it's rude for a man to pinch his bowler or cowboy hat. Pinch as a opposed to tip. I'm fascinated. I just love learning about this stuff. Welcome back! Thanks so much for suggesting Roseanne Bitner's historical romances. =) Isn't it wonderful to find an author whose work contains that kind of true-to-history background? Thanks for contributing to the conversation, and for your kind inclusion of me in your complimentary list. You read an impressive list of historical authors! I'm so glad you enjoy the settings and the tidbits you learn while reading for pleasure. Thanks for chiming in. You're so right-- so much of what we've learned in school is either inaccurate or "from the viewpoint of the winner" and fails to include the viewpoints of native peoples and our country's shameful history of slavery. Beverly Jenkins has contributed widely to the understanding and comprehension of the nineteenth century for Black men, women, (and I imagine, children). Thank you kindly for the invitation to return as a guest. It's wonderful to be back at Romancing the Genres. I'm glad you mention "I'd like to know why it's rude for a man to pinch his bowler or cowboy hat. Pinch as a opposed to tip. I'm fascinated. I just love learning about this stuff. Welcome back!" About the pinch verses lift-- all I know is the several historical citations (more coming tonight just after midnight, Mountain Time: http://www.kristinholt.com/archives/14515) of good manners, decorum, and etiquette emphasize that to touch one's hat brim (or pinch) is inadequate, that a man or boy must lift his hat to properly show respect, and must remove his hat in the presence of a lady. Vintage etiquette books rarely explained the whys, but simply stated what made up good manners, and sometimes statements such as "Mothers would do well to never allow her sons to wear a hat in her presence. Teach them in their childhood to respect women." I'm paraphrasing, but I've read so many such statements that this is a blending of several such references. Isn't history surprising-- and a little fascinating? Thanks so much for contributing, and entering the drawings. I enjoy your posts and articles from that time period. Shanna Hatfield writes western historicals that are very informative. Love the comment about pinching the brim vs removing the hat or lifting it from the head. What a fascinating detail. I suspect some authors assume that what is done in a movie set in a historical time period is factual--when rarely is that the case. I admire authors who do a lot of research to get the details right. Not only do readers learn, but those details add such richness to the story. Just as authors create entire worlds in futuristic or fantasy novels, so do historical authors present an entire world that can be very different from our own. Thank you so much for reading and contributing. You're right! 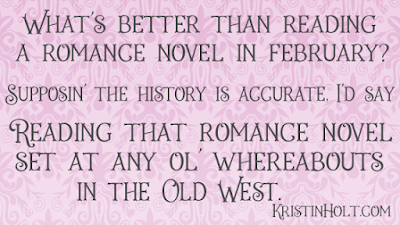 Shanna Hatfield's western historicals are rich with details and real history. Thanks for your kind words about my posts and articles. Thank you for stopping by, reading, and contributing to the conversation. I believe you're right. We're so steeped in Hollywood's tradition of the Old West that many little details (creations by Hollywood) pass by without question. I wholly admire well-researched authors and their fiction that shines, educates, and entertains.